Technogal: Have you experienced Lucid Dreams ? If you are conscious and aware that you are dreaming then you are in a state of lucid dream. It happens when you recognize that you are dreaming, meaning you can influence events & act out some of your wildest fantasies with utter freedom, where you are fully aware that there are no physical consequences since you know you'll eventually wake up from your dream safely. Although it's rare and only some people who can get to this state of consciousness and recognize that they are in a dream, you can also recognize it easily! 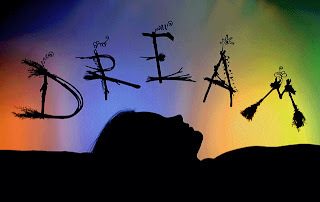 Lucid Dreams is a skill that you can develop gradually, by keeping a dream diary, testing your waking reality, imagining you are dreaming and visualizing a dream activity. With dedication & motivation you can increase your ability to lucid dream. There are lectures, workshops, and electronic devices to help people achieve a lucid dream state.